Splendid t-shirts are back in the shop and cuter than ever! 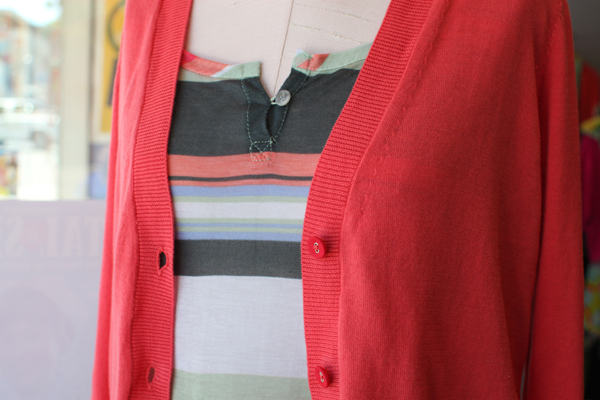 We went crazy on the stripes, naturally, and this one is our favorite. 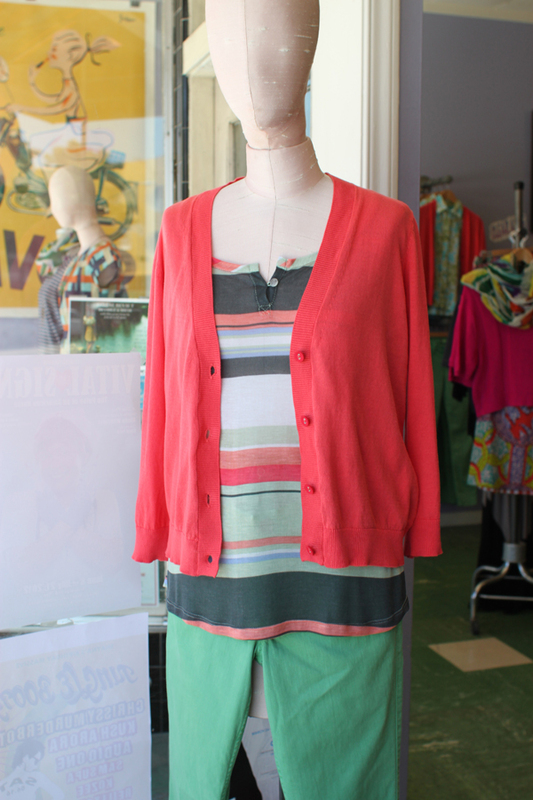 Gray, mint green, pale blue, and coral... this might be just be our favorite new color combo! And it couldn't look more perfect paired with Level 99 jeans and a bright knit Laurie B. cardigan.